Water sprites, mountain goblins, shape-shifting animals, and the monsters known as yôkai have long haunted the Japanese cultural landscape. 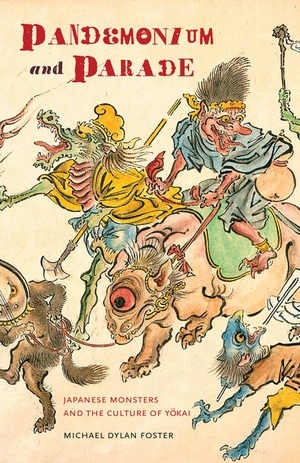 This history of the strange and mysterious in Japan seeks out these creatures in folklore, encyclopedias, literature, art, science, games, manga, magazines, and movies, exploring their meanings in the Japanese cultural imagination and offering an abundance of valuable and, until now, understudied material. Michael Dylan Foster tracks yôkai over three centuries, from their appearance in seventeenth-century natural histories to their starring role in twentieth-century popular media. Focusing on the intertwining of belief and commodification, fear and pleasure, horror and humor, he illuminates different conceptions of the "natural" and the "ordinary" and sheds light on broader social and historical paradigms—and ultimately on the construction of Japan as a nation. Michael Dylan Foster is Assistant Professor of Folklore and East Asian Cultures at Indiana University.